Here at MGC we feel "Dress-down Fridays" are a great opportunity to support charitable causes. It gives us the chance to come into work wearing casual clothes, and in return, each employee involved can make a small donation. We let the fund grow, knowing at some stage we will be able to make a difference to a chosen charity. Earlier this week we were really pleased to pass on a donation of £500 to the local charity, Age Concern Deepings. This is a voluntary organisation, founded in 1986, with the aim of working for the benefit of the Deepings and surrounding villages. Their activities include day care, luncheon and Sunday clubs, shopping trips, outings and visiting elderly people living alone. 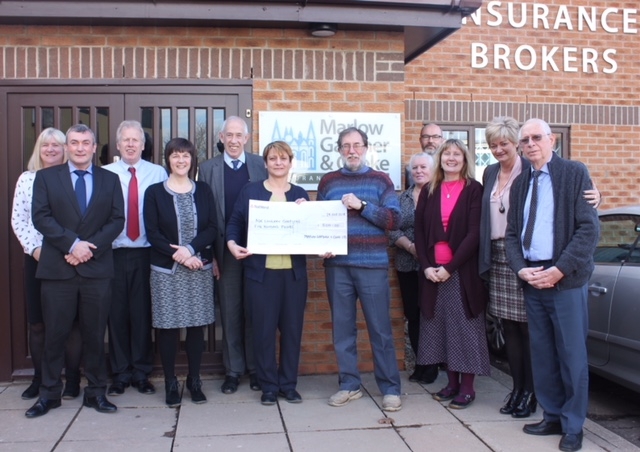 We have been aware of their great work thanks to a member of our staff having close family connections to one of the charity's long-serving volunteers. Significant recent fundraising efforts have meant they have been able to upgrade one of their two mini-buses last month, which is fantastic news. Our donation is a further boost to the funds, and is likely to help towards the day to day running costs of the buses.